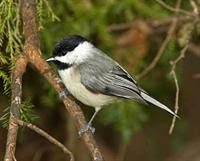 I spotted a couple of Carolina Chickadees just outside my window. Now off to listen to some great bands at SXSW. Have a wonderful weekend.